WASHER WATER PUMP REPLACEMENT This washer water pump is a replacement for Maytag, Magic Chef, Whirlpool, and Amana washers. It is a vertical style pump that fits perfectly with two port washer models. Product Features Part No. LP123 Meets or Exceeds OEM Specifications Compatible with Maytag, Magic Chef, Whirlpool, and Amana washers. About Supco Founded in 1945 in the Bronx, NY by two naval engineers, Sealed Unit Parts Co.,Inc (SUPCO) originated as a service company for refrigeration systems. We bring continued product line expansion through in-house development, master distributor relationships, and acquisition. This strengthens our position as a leader in the HVAC, Refrigeration and Appliance industries. 2-PORT WASHER PUMP - The Supco LP123 is an aftermarket replacement part for direct drive washers with two ports. HIGHEST QUALITY PARTS - This water pump meets or exceeds OEM specifications and works well with Maytag, Magic Chef, Whirlpool, and Amana washer water pumps. DURABLE WASHER PUMP REPLACEMENT - This vertical style pump has metal housing plate and pulley; making it durable and strong. 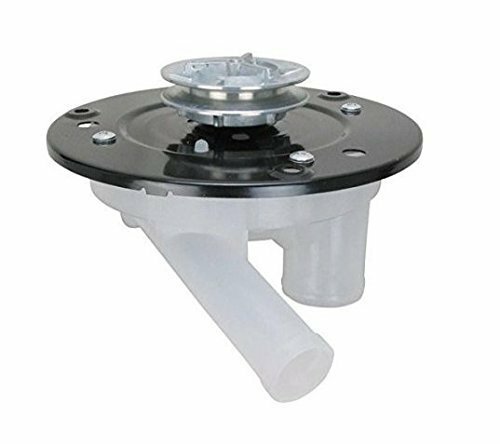 PERFECT FIT - The Supco LP123-21001732 water pump replacement has been approved by the original manufacturer ensuring that it is a perfect fit. HIGH COMPATIBILITY - Direct replacement for 21001906, 21001732, 35-6465, WP35-6465, AP6008659, 21001589, 35-2057, 35-2099, 35-3834, 35-5766, 35-6016, PS11741799, WP35-6465VP.